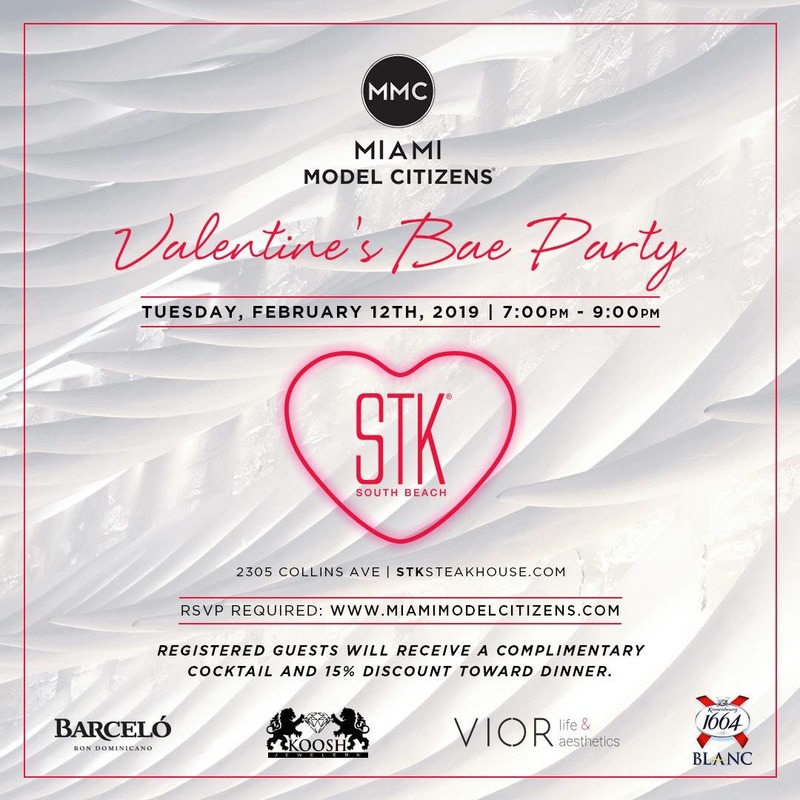 Join Miami Model Citizens for our Valentine's Bae Party at STK South Beach on Tuesday, February 12 from 7-9 PM to kick off Valentine's Day week! RSVP is mandatory!! Guests receive 1 complimentary cocktail/beer (cash bar for additional drinks) and 15% off of dinner that night at STK. Ladies receive a special Valentine's gift courtesy of sponsor La Belle Vie (www.labellevie-xo.com) @labellevie.xo in Instagram. Your answer goes here There is valet parking at the adjacent 1 Hotel for $10 after your ticket is stamped at STK or adjacent public parking garages. Travel by Uber or Lyft is also an option. Your answer goes here Contact us at info@miamimodelcitizens.com with any questions.